Vonda N. McIntyre, a leader of Seattle’s science-fiction community who made her mark with Star Trek and Star Wars novels as well as the Clarion West Writers Workshop, has passed away at the age of 70 from pancreatic cancer. Hugo and Nebula award-winning author Vonda N. McIntyre continued the bestselling Star Wars saga in 1995's The Crystal Star. 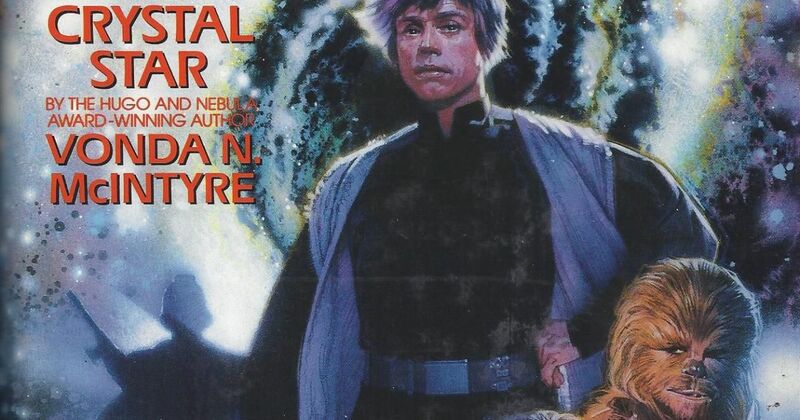 The novel, now part of Legends, saw Princess Leia's children being kidnapped. Along with Chewbacca and Artoo-Detoo, she follows the kidnappers' trail to a disabled refugee ship, from which children are also missing. Here she learns of a powerful Imperial officer with a twisted plan to restore the Empire. Meanwhile, Han Solo and Luke Skywalker are cut off from Leia by the death of a nearby star, which has caused a disruption in the Force. They have gone to the planet Crseih to investigate a report of a lost group of Jedi. Instead they find a charismatic alien named Waru whose miraculous healing powers have attracted a fanatic following. As Leia follows the path of her children across space, Luke and Han draw closer to the truth behind Waru's sinister cult. Together they will face an explosive showdown that will decide the survival of the New Republic . . . and the universe itself!